Since Dan Nicholson took over as vice president of General Motors' global propulsion systems in 2014, he has shattered the status quo. Whatever fuel a consumer wants, be it gasoline, diesel, electricity — or soon, hydrogen — there are propulsion systems available. 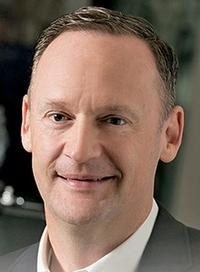 Under Nicholson, 54, GM has advanced the state of the art of the traditional automobile engine by bringing to market technologies such as the next generation of cylinder deactivation that continually varies the number of cylinders that fire, and an advanced triple-mode, or Tripower, valvetrain. Nicholson's team also has developed engines for specific vehicles, such as a 2.7-liter turbo four-cylinder and Duramax 3.0-liter inline-six turbodiesel for trucks, and Cadillac's new Blackwing 4.2-liter twin turbo V-8. In addition, Nicholson is helping lead the industry's effort to increase the octane and quality of gasoline so that engineers can wring even greater efficiency out of engines.